My taste buds having been tempted by Hillwards banana loaf, I decided on the spot to make one for myself, using the recipe in my well-worn copy of Mary Berry’s ‘Fast Cakes’. In doing so I answered my own question – ” Do people ever use bananas that aren’t manky in their banana loaves?”. 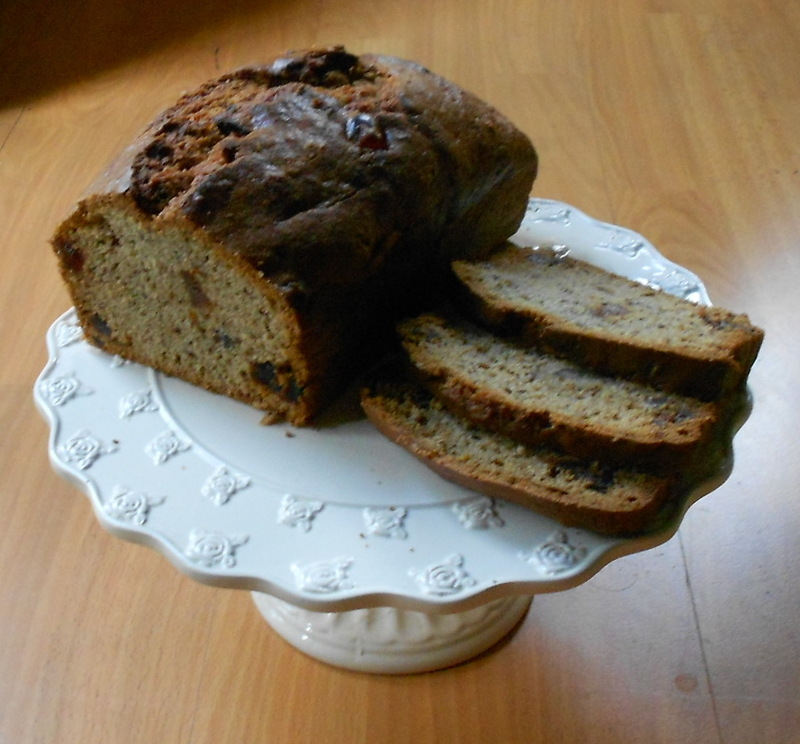 Well I did, and it wasn’t anywhere near as nice (the bananas don’t mash easily and leave slightly hard bits when the loaf is cooked) – so, I will continue to use bananas that are past their best. Heat oven to 350°F, 180°C or gas mark 4. Grease and line a 2lb (900g) loaf tin. Peel bananas and mash well in a large bowl. Dissolve bicarb in the milk then add to bowl together with the remaining ingredients and mix very thoroughly for 2-3 minutes. Turn into tin, smooth top and bake for 1 – 1½ hours or until the loaf is well risen and golden brown. Turn out, remove paper and leave to cool on a wire rack. Serve sliced, with or without butter.